XC Mountain Biking is all about short anaerobic power output! As such This training plan starts by working on your race start and quickly moves into Zone 6 Anaerobic Work. There are endurance mountain bike hammer rides on the weekend for training and technical skills practice. Tuesday, Wednesday and Thursdays are for 1 minuters, VO2’s, threshold and the diabolical Tabatas. 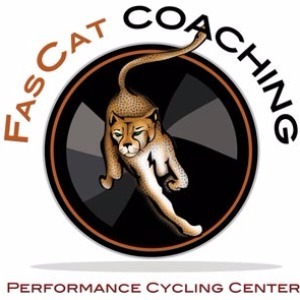 You'll start and finish the 6 weeks with a Field Test to set your training zones via the included FasCat Wattage and Heart Rate Zones Sheet. This way you'll be sure to ride at the correct efforts and you can measure your improvement too! Plus, this plan includes all the "marginal gains" details to get even faster: Recovery Techniques, Rest Days, Yoga, Foundations, and best of all, Strength and Conditioning - all you need is a physical therapy style rubber band and MOTIVATION! There are instructional videos in the plan for you to follow along at home. This Advanced plan is for the rider with 2-2.5 hours a day to ride during the week and 1-4.5 hours on the weekend. Complete these intervals at FULL GAS! Warm up and cool down in Zones 1/2. 3 x 45 seconds on 90 seconds off. FULL GAS!! Have everything RACE READY before you begin this warmup protocol because the MAGIC is ending this warmup 10 minutes before your start. After you finish this warm up go direct to the start line to relax and focus.